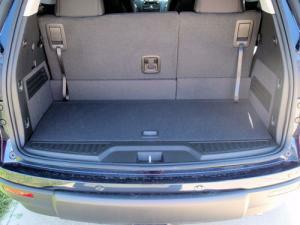 Late in the 2009 model year, Saturn made a change to the under-the-floor rear storage compartment in the cargo behind the vehicle's third row seats. 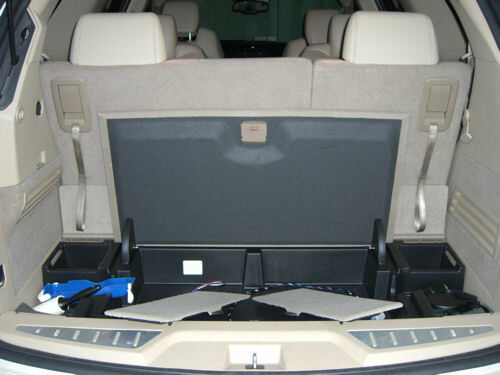 New Outlooks now have one large compartment that's accessible through one large opening (top photo shown below). 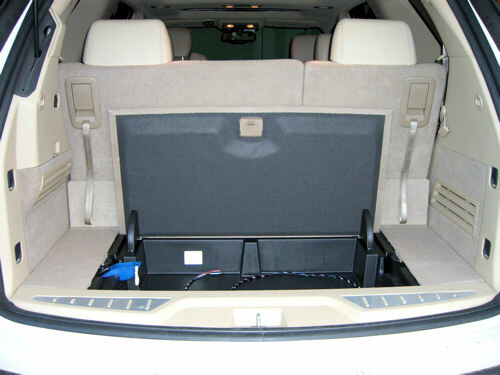 Previously, the cargo area was divided into five separate sections: one medium-sized center compartment flanked by two small niches on either side (bottom two photos). 2007 through early 2009 model Saturn Outlook (center opening). 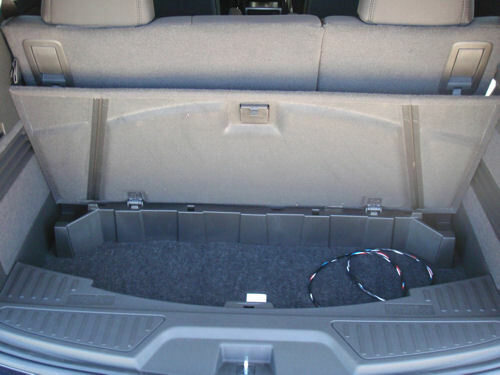 2007 through early 2009 model Saturn Outlook (open storage compartment). There are currently 14 users and 542 guests online.